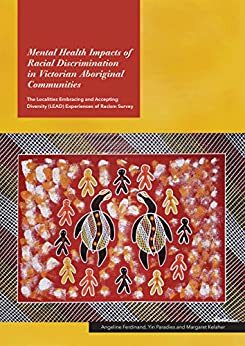 This report is based on research from the project ‘Understanding and addressing racism against Aboriginal and Torres Strait Islander Australians through the LEAD (Localities Embracing and Accepting Diversity) program’ funded by the Lowitja Institute. The LEAD program is funded by the Victorian Health Promotion Foundation (VicHealth), the Department of Immigration and Citizenship (DIAC) through its Diverse Australia program and beyondblue, Australia’s peak body for mental health issues. The Experiences of Racism survey was carried out as part of these two interrelated projects. The report authors are part of the University of Melbourne LEAD evaluation team.